Modern methods of treatment of internal diseases are as diverse as the areas of this specialty of medicine. It is impossible to list the range of resources available to treat diseases of internal organs. However, the progress in treatment of endocrine diseases is worth a special mention. Internal Medicine is a specialty of medicine studying the causes, development and conditions affecting the internal organs of the body. Modern life with its related stresses, poor eating habits, and environmental changes has a negative impact on our bodies, especially vulnerable are the gastrointestinal tract, endocrine and cardiovascular systems. In Switzerland particular attention is paid to the prevention of diseases caused by poor modern lifestyles. Swiss doctors use the latest high-tech methods of patient examination, making it possible to establish an accurate diagnosis at an early stage, thus preventing any further spread of disease of the internal organs and ensuring effective treatment. Modern methods of treatment of internal diseases are as diverse as the areas of this specialty of medicine. It is impossible to list the range of resources available to treat diseases of internal organs. However, the progress in treatment of endocrine diseases is worth a special mention.Endocrinology is one of the leading specialties in Swiss healthcare. A distinctive feature of the Swiss approach in the treatment of endocrine abnormalities is the limitation of hormonal drugs doses prescribed. Swiss endocrinologists are known for their careful selection of drugs for each individual case. The range of services offered by Swiss clinics in the area of internal medicine is constantly evolving due to new methods of diagnosis and treatment. Reproductive medicine in Switzerland relies on the collaboration of a number of medical specialists in the field of gynaecology, endocrinology, urology, andrology, genetics, biochemistry and psychology. This cooperation between specialties provides a comprehensive view of any issues that might affect the reproductive function of any couple. Gynaecology is the medical practice dealing with the health of the female reproductive system as well as diseases of the female genital organs. Almost all modern gynaecologists are also obstetricians focusing on the care of women during pregnancy and childbirth and the postpartum period that directly follows childbirth. study, laparoscopy, sounding the uterus. Ultrasound diagnostic tests, endoscopy – a colposcopy, cervical hysteroscopy, X-ray diagnostics (including CT), MRI, etc. It is however, the treatment of infertility and child birth that are the most prevalent areas covered in this field. Reproductive medicine in Switzerland relies on the collaboration of a number of medical specialists in the field of gynaecology, endocrinology, urology, andrology, genetics, biochemistry and psychology. This cooperation between specialists provides a comprehensive view of any issues that might affect the reproductive function of any couple. For the vast majority of women with fertility problems, Switzerland allows them to feel the joy of motherhood. Patient care is critically important to us as are a patient’s personal concerns. We operate with the greatest of discretion and in the strictest of confidence. Childbirth in Switzerland is becoming increasingly popular. Mothers who gave birth in a Swiss clinic, are very happy with the level of confidentiality, security and comfort that they received alongside their medical care, regardless of wether they had a natural birth, or a birth that required medical intervention such as Cesarean section. If required, Swiss maternity hospitals will practice non-standard deliveries, but always in accordance with the highest medical standards. Switzerland can be proud of its reputation as having one of the world’s lowest mortality rate of babies and mothers during childbirth – labor complications and multiple pregnancy included. Premature babies weighing about 500g born at the age of 2-24 weeks is common practice. Sophisticated monitoring of pregnancy and childbirth in Switzerland ensures the health of the mother to be and her newborn child. The range of services offered by Swiss clinics in the sphere of gynaecology is constantly growing due to new methods of diagnosis and treatment. Current achievements in Swiss dentistry have created excellent results both in aesthetic medicine and prosthetics. In Swiss dental clinics you are assured excellent hygiene, sterile environments and equipment and the very best in treatment execution. Dentistry is the branch of medicine that is involved in the study, diagnosis, prevention and treatment of deseases, disorders and conditions of the oral cavity and maxillofacial area. Uniform, white teeth are not only an indicator of good health but they also make an attractive smile and frequently it is our smile that makes the difference in life! In the modern world of dentistry we can create and maintain a beautiful smile, healthy teeth and gums thanks to our state-of-the-art equipment. Digital radiography, which creates panoramic pictures. With this method, a doctor can accurately diagnose an altered periodontium, and “have a look” inside the tooth. In addition 3D computed tomography allows medical teams to reconstruct the volumetric structure of the maxillofacial area. Electric pulp testing – a method based on determining the sensitivity of receptors in the dental pulp through stimulation by a weak electric shock. This method is mainly used in the diagnosis of periodontitis and neuritis. Current accomplishments in Swiss dentistry allow us to excel in all areas of treatment from prosthetics to aesthetic surgery of the mouth. 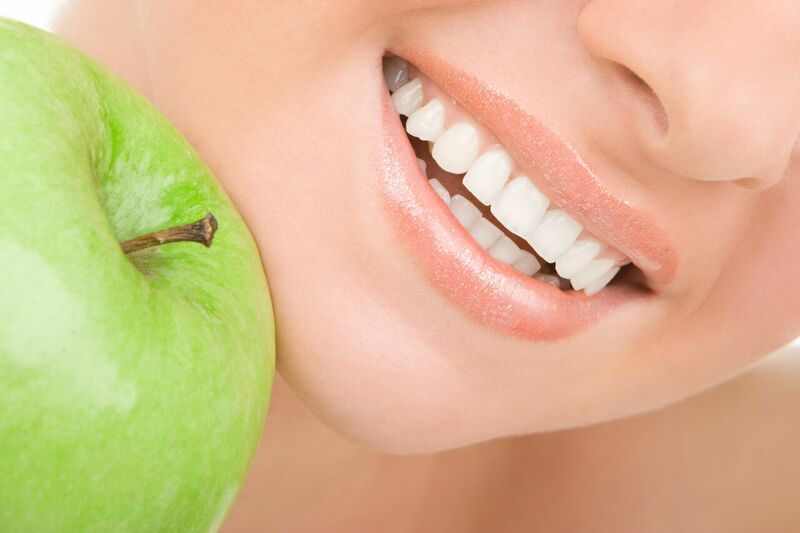 Dental specialists in Switzerland have successfully utilised new methods of treatment for deseases of the oral cavity, maxillofacial area and the border areas of the face and neck. Effective prosthetics and modern materials are constantly being developed thanks to the latest medical technologies. Thanks to new methods of diagnosis and treatments, the range of services offered by Swiss dental clinics is continuously expanding. The latest state-of-the-art medical and diagnostic equipment in the Swiss Healthcare system combined with efficient laboratory systems enables medical teams to take a systematic approach to diagnosis, and to reach an accurate conclusion quickly and efficiently. If a patient has some type of ailment or condition that continually interferes or alerts their daily life in any way, there is likely to be some type of underlying condition that needs diagnosing. Although the condition may be brushed off as “insignificant” by a GP such a condition will require further investigation and examination and possibly some medical tests to produce accurate diagnosis. A timely diagnosis will result in minimal treatment and less intervention. It will also cause less trauma and cost less. As in all medical problems, the quicker a diagnosis is made, the better the outcome is likely to be. If you are generally healthy, a basic check up will be enough to make an accurate diagnosis. If diagnosis is delayed, often the condition has become more serious and will require additional examination, tests and treatment which in turn, increases the price and time of the treatment. A basic diagnosis is reached following a clinical examination which may include a complete analysis of urine and blood tests, an ECG, an ultrasound, radiologic tests such as X-rays and different types of endoscopic examination and numerous tests which imply tissue sampling. ultrasonic examination. There are many tests that can be carried out from one tissue sample which can be used to reach a diagnosis or to determine or detect an underlying illness. In general, everything that exists in the diagnostic segment of modern high-tech medicine is an available resource at the medical institutions in Switzerland. Once a diagnostic opinion has been reached, a thorough medical report will be prepared as soon as possible along with a management plan including a consultation with a specialist as well as plans for follow up. If necessary, further treatment or surgery can be organized by the relevant specialists. Cardiology and cardiac surgery are highly developed in Switzerland and Swiss cardiology clinics have a worldwide reputation for excellence in the diagnosis, investigation and treatment of patients with all forms of heart disease. Extremely complex operations can be taken on due to the availability of the most up to date equipment and highly skilled medical teams. 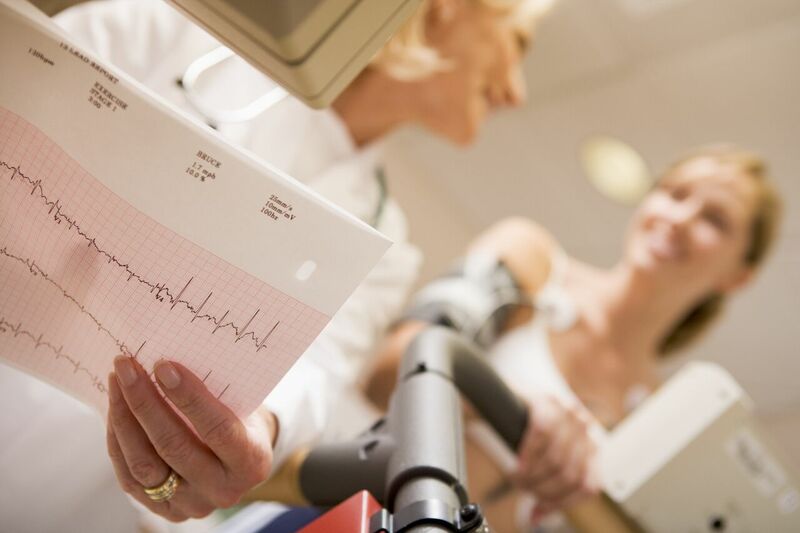 Cardiology is a specialty of Internal Medicine, studying the structure and functioning of the cardiovascular system, and cardiovascular diseases. Heart surgery is a surgery specialty devoted to the removal of pathologies of the cardiovascular system. Cardiovascular diseases are the main cause of disability and premature death among residents of economically developed countries. Today, the part of these diseases in the structure of mortality is of 40-60%, with continued increase among people who are more and more young, making cardiovascular diseases one of the most important medical and social health problems. Treatment of cardiovascular diseases in Swiss clinics implies first of all accurate cardiac diagnosis, use of modern methods of treatment and latest medical and technical base, followed by an individual program of cardiac rehabilitation. X-ray techniques – are foremost a coronary angiography as a type of angiography, which requires minimal access to the femoral artery. In addition, there is currently an alternative to coronary angiography – a three-dimensional CT (computed tomography). Cardiology and cardiac surgery are traditionally highly developed in Switzerland and Swiss cardiology clinics are worldwide known. They are equipped with the most modern medical utensils and can run operations of any complexity. Angioplasty and stenting – currently the most efficient methods of treatment for ischemic heart diseases, as well as surgical treatment of cardiac arrhythmias. Coronary artery bypass grafting (CABG) – the imposition of bypass shunt between the aorta and coronary arteries of the heart. Balloon angioplasty and stent implantation in a narrowed or blocked coronary blood vessels, carotid and renal arteries, vessels of the arms, pelvis and legs. Chemical septal ablation (surgery during which part of pathologically altered tissue is burned (evaporated) with a laser, an electric tool or a chemical element or removed by mechanical means. Catheter treatment of cardiac arrhythmias (radiofrequency ablation), treatment of atrial fibrillation and flutter. Cardiac resynchronisation therapy with special pacemakers for heart failure. Implantation of automatic cardioverter / defibrillator for life-threatening arrhythmias. Thanks to new techniques in anesthesia and recovery, it is now possible to reduce the duration of cardiac operations. If before heart surgery automatically required to stop the heart, currently, newly developed methods allow to avoid this. This not only significantly reduces the risk, but is also an important psychological factor when taking the decision to consent to surgery. The range of services offered by Swiss clinics in the field of cardiology is constantly growing due to new methods of diagnosis and treatment. Ophthalmology is a branch of medicine specialising in the anatomy, function and diseases of the eye.Correcting vision or completely rebuilding it and stabilizing eye conditions such as cataracts and glaucoma, astigmatism, and keratoconus, myopia and hyperopia are now common occurances in the world of ophtalmology. Ophthalmology clinics in Switzerland use the latest proven treatment methods and modern optical and electronic equipment. In order to improve vision and to maintain its optimum state patients can be offered a wide range of treatments to safeguard the health of their eyes. Ophthalmology is a branch of medicine specialising in the anatomy, function and diseases of the eye. Correcting vision or completely rebuilding it and stabilizing eye conditions such as cataracts and glaucoma, astigmatism, and keratoconus, myopia and hyperopia are now common occurances in the world of ophtalmology. Refractive surgery is commonly used to treat myopia, presbyopia and astigmatism. Its objective is to improve the vision of patients without the use of optical means of vision correction, glasses or contact lenses. In the treatment of cataracts an ultrasonic phacoemulsification is considered to be the most effective method. If a cataract is treated properly and soon enough, the recovery of vision after surgery will take place quickly and successfully, and the cataract will no longer be an issue. High-quality ophtalmic treatment is essential to the health of your eyes for the years to come! In recent years, plastic surgery has evolved from an elitist medical service to a relatively affordable way to correct physical appearance and bring it closer to a desired ideal. Plastic Surgery is a medical speciality concerned with repair, restoration, or improvement of lost, injured, defective, or misshapen body parts. There has been a huge increase in interest over plastic surgery. But for many the question of whether they think they will eventually seek the services of a plastic surgeon is less relevant than the question about the clinic in which they plan to have the surgery. Swiss plastic surgery is considered to be one of the best in the world. Plastic surgeries are performed in accordance with all internationally recognised safety standards, using high-tech equipment and state-of-the-art materials. In recent years, plastic surgery has evolved from an elitist medical service to a relatively affordable way to correct physical appearance and bring it closer to a desired ideal. Modern technologies used in plastic surgery allow surgery to be performed almost painlessly, quickly and to minimise the period of rehabilitation. Reconstructive plastic surgery is recommended for people who have suffered injuries resulting from trauma or diseases or for those with congenital malformations. Using surgical techniques it can be possible to address a deformed appearance, and to correct or improve some deficiency or abnormality in the function of the body part in question. A successful reconstructive operation often helps to restore self-confidence and significantly improves the quality of life. Aesthetic plastic surgery is performed to improve the physical appearance of a patient. Such operations prolong youthful appearances, impart the feeling of beauty and provide a certain individuality. Aesthetic plastic surgery often alleviates emotional stress and removes a feeling of self-consciousness. Mammoplasty : Breasts surgery (mammoplasty) – an operation performed to increase or reduce the size of the breasts. It is used to change the volume and improve the shape of the breasts while preserving the possibility of breastfeeding, to restore the volume of the breast after pregnancy or sudden weight loss, to eliminate the size difference between two mammary glands, and as a recovery process following the removal of a breast tumor. Rhinoplasty : Nose surgery (rhinoplasty) – one of the most difficult specialties of plastic surgery – used to change the external contours of the nose through smoothing, removal or moving of the bones and cartilage forming its base. With rhinoplasty it is possible not only to change the shape of the nose, but also to correct congenital defects and breathing problems. Otoplasty : Correction of the ears (otoplasty) – plastic surgery used in the case of protruding ears, when the pavilions of the ears are too large or uneven, or in case of deformed ears. Rhytidectomy : Facelift and necklift (rhytidectomy) is a procedure aimed at the removal of sagging cheeks, the reduction of strongly marked nasolabial folds and restoration of the contour of the neck and the chin area. Blepharoplasty : Eyelid surgery (blepharoplasty) – a surgical procedure aimed at the removal of excess skin and fat herniation from the upper and lower eyelids. The operation is performed in cases where lid has severely stretched resulting in sagging skin. Cheiloplasty : Plastic surgery of the lips (cheiloplasty) – is performed to increase the volume and improve the shape of lips. Through cheiloplasty it is possible to reduce or increase the size of lips, to change their shape, to remove wrinkles and to plump the lips, as well as to correct congenital defects and problems with facial expressions. Abdominoplasty : Tummy tuck (abdominoplasty) – is a way of correcting the silhouette – when it becomes necessary – in the case of a muscle weakening and distention of the abdominal skin, e.g. due to pregnancy or to a rapid weight loss. Liposuction : Removal of fat (liposuction) – a method of vacuum removal of local accumulations of adipose tissue. Liposuction is recommended for people who have excess fat in certain areas of the body, while having a normal weight, correct body shape and elastic skin. Hair transplant : Hair transplant – a unique method of solving the problem of hair loss or restoring lost hair – it is an excellent alternative to wigs. The procedure does not require hospitalization and is easily tolerated. Traditionally it has been women who constitute the main clientele of plastic surgeons; however, men are increasingly beginning to resort to surgery. Gradually men prejudice to plastic surgery is weakening as men no longer regard maintaining attractiveness to the sole preserve of women. It appears that men are beginning to understand that success, especially in business, often depends on a certain amount of physical attractiveness. And those who have succeeded in life want to stay young and full of life! With the very best treatments from Swiss experts, you can be assured of the highest quality results. Swiss dermatology focuses on diagnosing the functions and structure of the skin using the latest and most modern equipment. The results are then used to estimate the condition of the skin structure that is not visible externally. This type of evaluation is vital to implement effective treatment and for the prescription of medication and treatment. Dermatology is a specialty of medicine that studies the structure and functions of the skin, mucous membranes, hair, nails and skin diseases. Cosmetic dermatology is a section of dermatology, specialising in cosmetically solving problems associated with the aesthetic defects of the skin. The skin is the largest human organ; it is also the first to react to any changes. It acts as a protective barrier to external influences and bacteria. it is also very sensitive to nervous reactions and stress and at some time in our lives every other person will be confronted with some type of skin desease – about 15% of all visits to docotrs are made to dermatologists. for skin functions – photometry, thermometry, thermography, methods using absorbent test strips – to measure the moisture content, estimate the oily secretions (seborrhea), evaluation of skin pH, determination of melanin content and skin phototype. for skin structure – an ultrasound scan, dermatoscopy, microphotography, videodermatoskopy, elastometry – to determine the thickness and density of the dermis and epidermis, assessing the elasticity and the skin surface. Regardless of skin care routines, over time skin becomes dry, loose and begins to appear tired. Enlarged pores are noticeable, acne, wrinkles, pigmentary spots and spider veins (cuperosis) all become obvious. In addition, dark circles beneath the eyes, scars, swelling and cellulitis all become more apparent with age. The skin is also damaged by UV exposure causing photoaging and many young people are often concerned about the problems associated with oily skin such as acne and post acne scars. With the help of various specialised cosmetic and therapeutic procedures, hardware techniques and surgical procedures, it is possible to completely eliminate these problems or make them less obvious. Cosmetic dermatology is a constantly evolving area of medicine. New and emerging techniques and procedures are being developed all the time to help prevent the effects of aging and to promote health and beauty. Swiss orthopedics attracts patients from across the globe thanks to the comprehensive range of treatments on offer. As a provider of specialist services and treatments coupled with the latest technological developments in this area and full postoperative rehabilitation, Swiss clinics is an excellent choice for orthopedic care. Orthopedic surgery (orthopedics) is the branch of surgery concerned with conditions involving the musculoskeletal system (bones, joints, muscles, tendons, peripheral nerves). Orthopedic surgeons use both surgical and non surgical means to treat musculoskeletal trauma, sports injuries, degenerative diseases, infections, tumors, and congenital disorders. In today’s world, where time has increasingly become a luxury, there has been a huge increase in the number of people with disorders of the musculoskeletal system. Conditions and cases that previously resulted in disability are now restorative thanks modern equipment, diagnosis and treatments. Switzerland has successfully created new methods of musculoskeletal disease treatment and developed an effective means of prosthetics and endoprosthesis replacement. Modern synthetic materials designed using the latest technologies are used for the replacement of damaged tendons, ligaments and joint capsules. Swiss orthopedic clinics focus on the preservation of the injured organ and its full recovery. Operations are carried out using minimally invasive surgery (Endoscopic Surgery) and the latest equipment, allowing the patient to return to an active lifestyle as quickly as possible. Urology in Switzerland is one of the most effective and popular specialties of medicine. Swiss clinics have up to date, state-of-the- art equipment that provides the very best urological care. 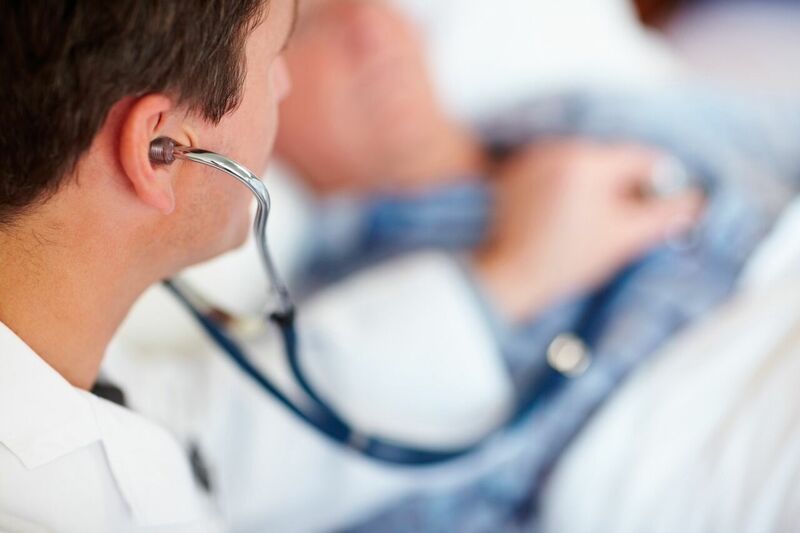 We run a highly specialised service with advance technologies to diagnose and treat all urological disorders of any category and complexity including those resulting from complications of earlier surgeries. Urology is a medical surgical specialty which deals with diseases of the male and female urinary tract and the male reproductive organs. Although urology is classified as a surgical specialty, knowledge of internal medicine, pediatrics, gyneacology and other specialties is required by the urologist because of the wide variety of clinical problems encountered. As a result, Swiss urologists treat all patients with the utmost of sensitivity, tact and discretion. We provide high quality collaborative and compassionate care that is coupled with a wealth of experience and professionalism. The effectiveness of the treatment of urological dysfuctions largely depends on timely diagnosis. However, due to the very personal and intimate nature of many of the symptoms, admitting to urological conditions such as erectile dysfunction or incontinence is often difficult and embarrasing. Well aware of professional sensitivities, FAVOR employees guarantee absolute confidentiality and total respect of ethics. Urology in Switzerland is one of the most effective and popular specialties of medicine. Swiss clinics have up to date, state-of-the-art equipment that provides the very best urological care. We run a highly specialised service with advance technologies to diagnose and treat all urological disorders of any category and complexity including those resulting from complications of earlier surgeries. With direct access to the extensive facilities of the diagnostic and surgical services of Swiss clinics, patients receive comprehensive care at every stage of treatment, from screening through to diagnostic imaging, surgical diagnosis, treatment and rehabilitation.